February 12th, 2012 was my first “Best of Class” AKA “First Place” award to date. 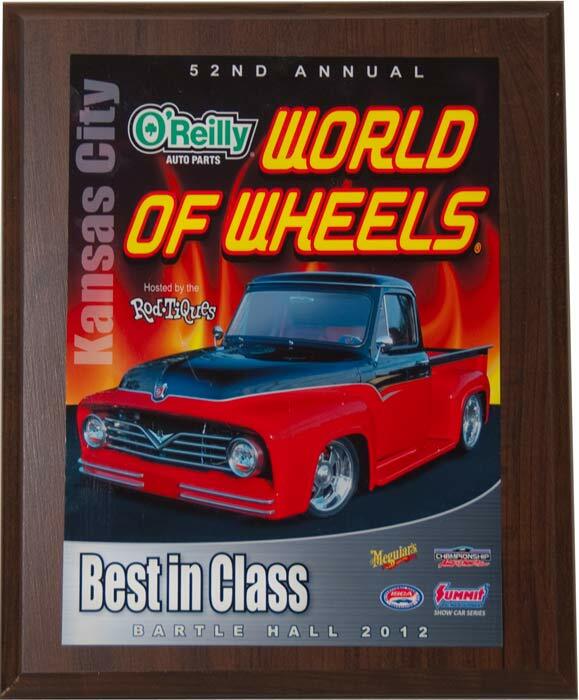 The show was the World Of Wheels in Kansas City. The major changes I have made since my last car show in the summer of 2011 are the lowering of the car with the SVE Black Wheels. And three DG Custom carbon fiber dipped CPC covers under the hood. As well as the CPC satellite antenna cover. 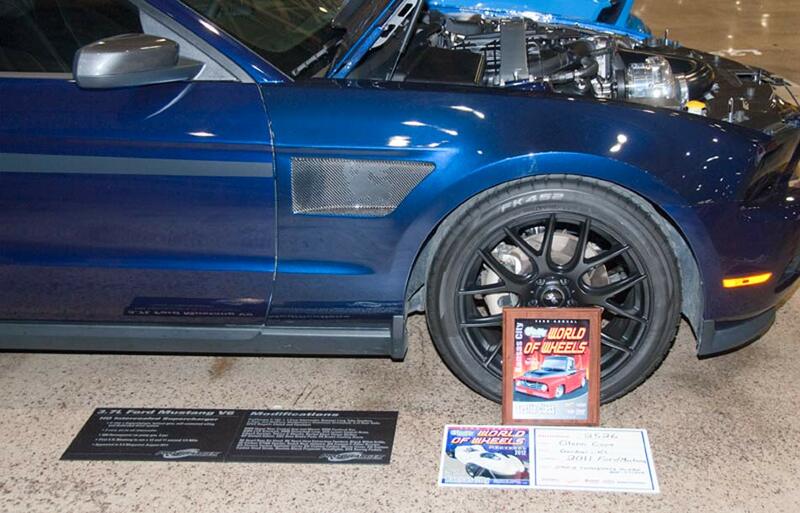 I want to send a big thanks to the Mustang Club of KC who had my car as part of their booth. 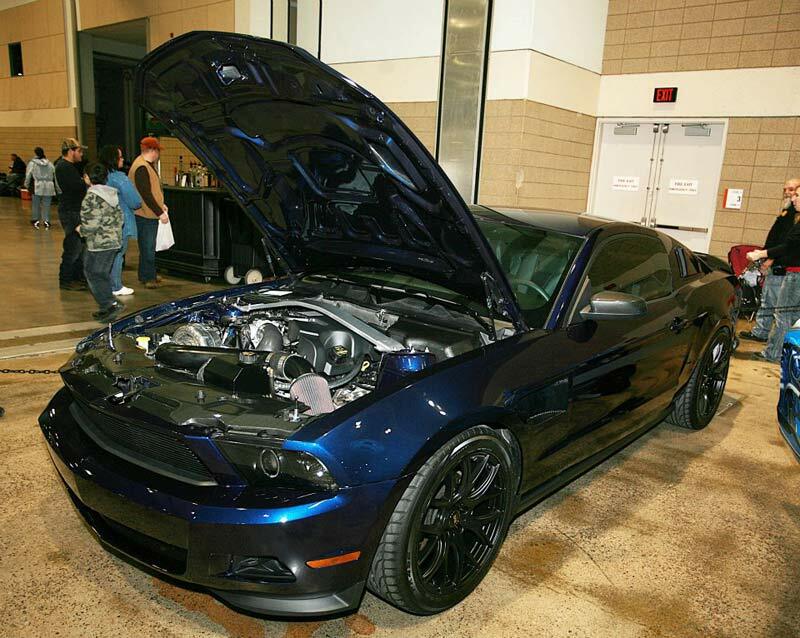 Here is a good shot a mustang club member took of my car. Best in Class award in a field of 12 cars. I also want to thank RK sport, 3D Carbon, and DG Custom Auto for the body parts and show quality paint job. Lets see if we can continue the 1st place streak in 2012.